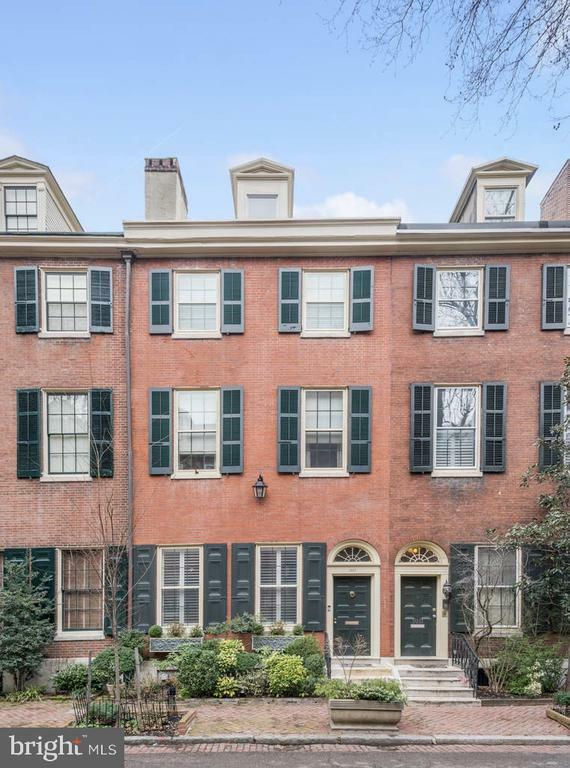 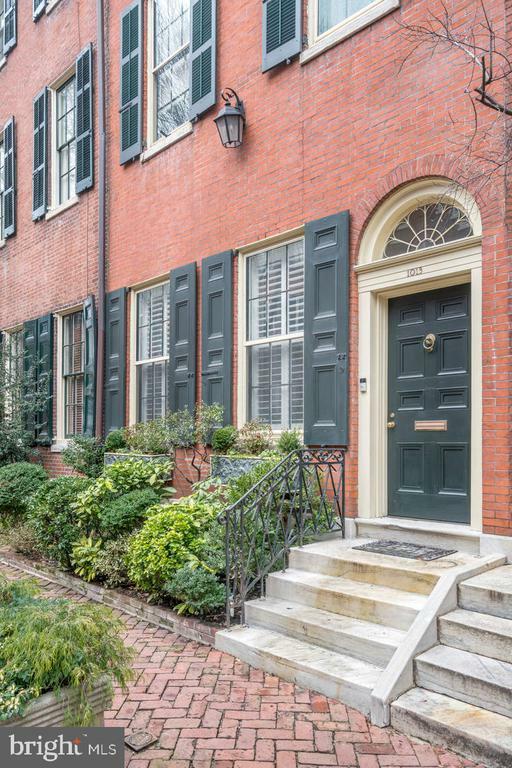 Built in 1837, this Federal Style Washington Square West mansion settled on the picturesque Clinton Street is quintessential Philadelphia. 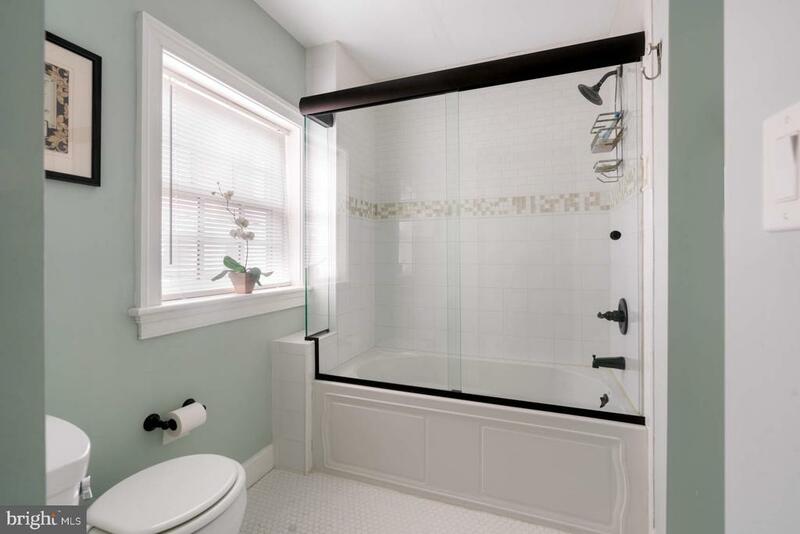 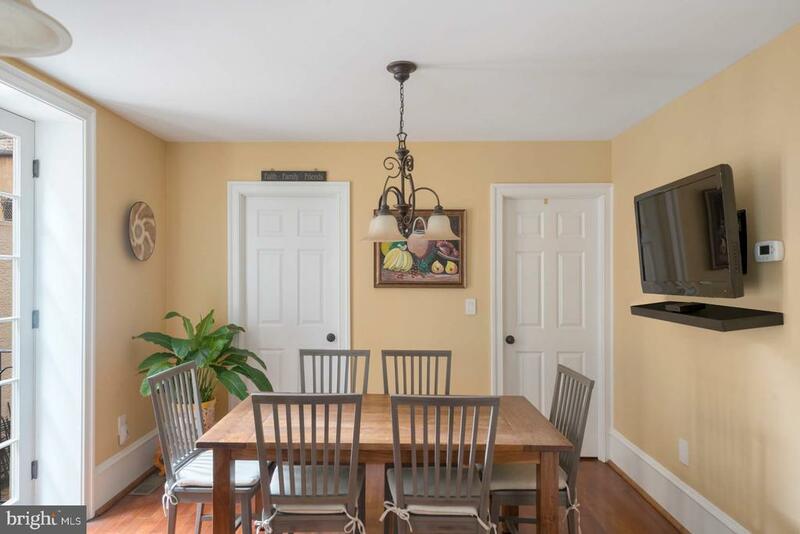 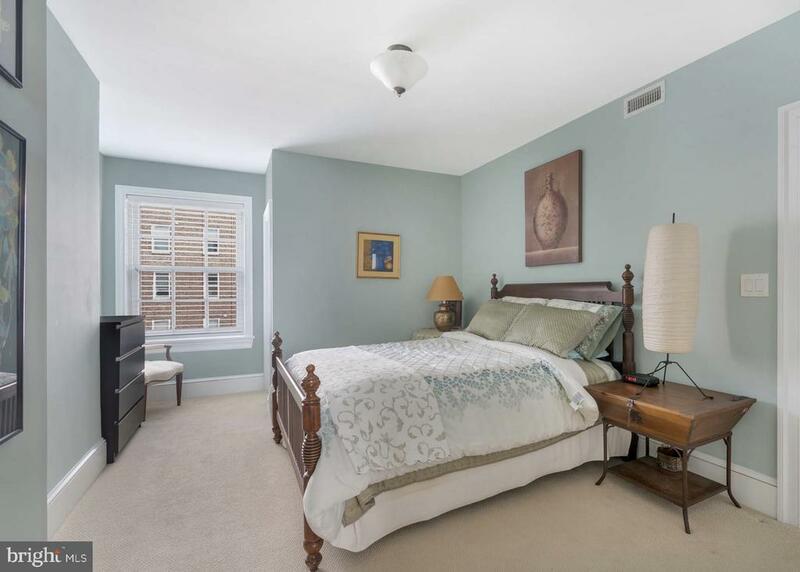 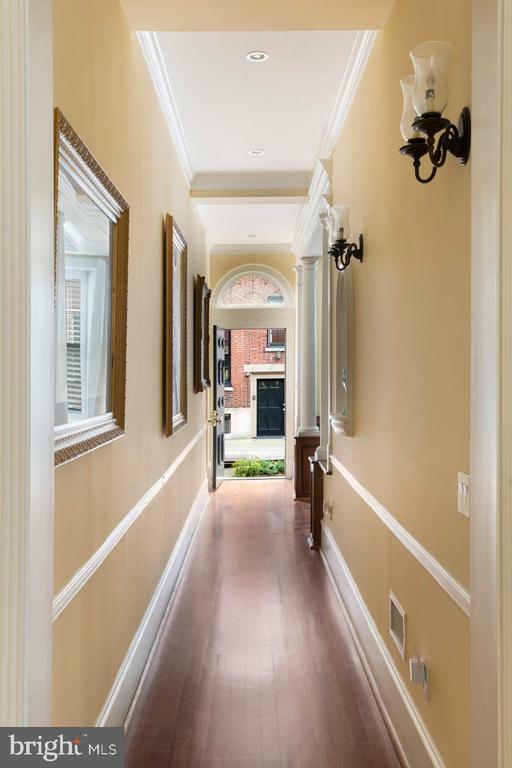 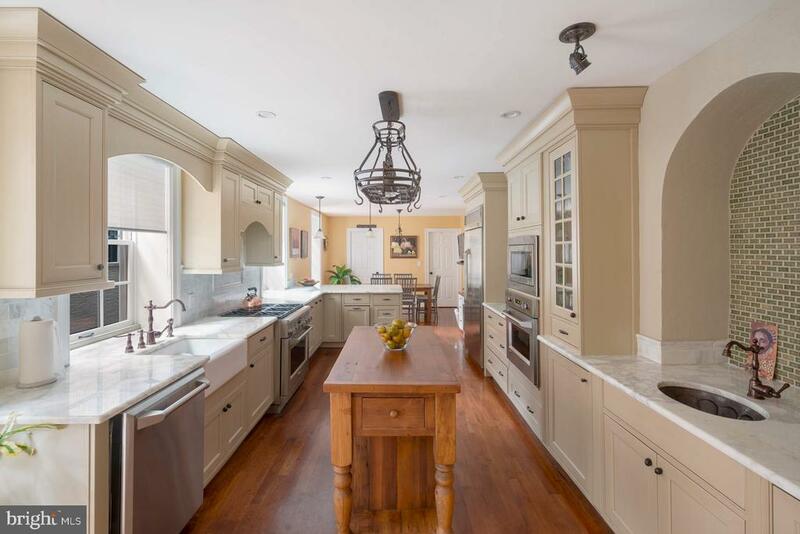 Elegantly renovated and flooded with natural light this home flaunts 5 bedrooms, 4 baths, 2 half baths, and 2 CAR WELL ESTABLISHED LEASED PARKING. 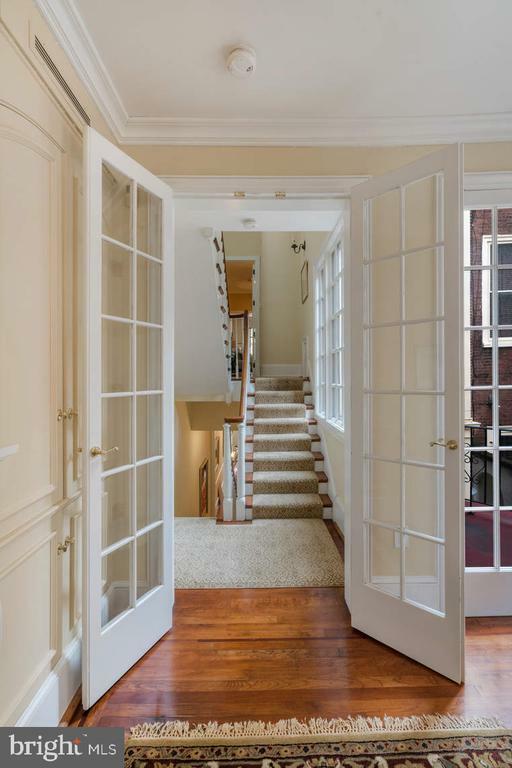 Enter onto gorgeous hand finished American Cherry floors that sweep the entire first level. 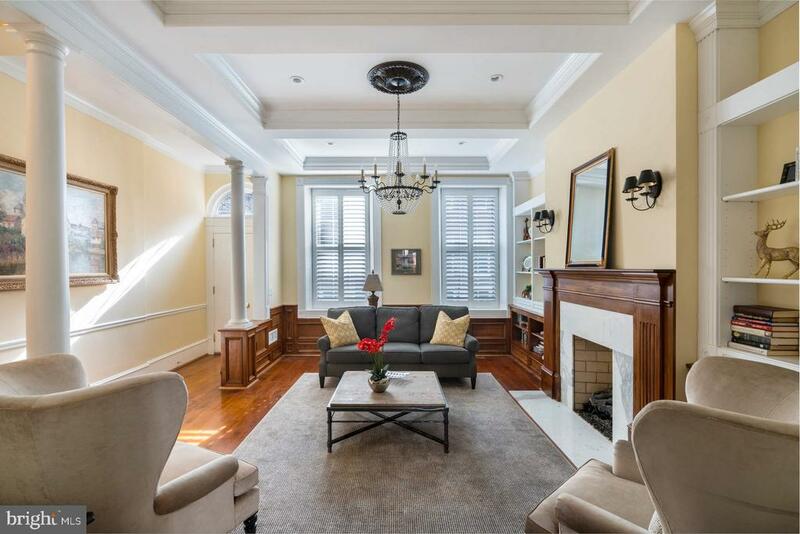 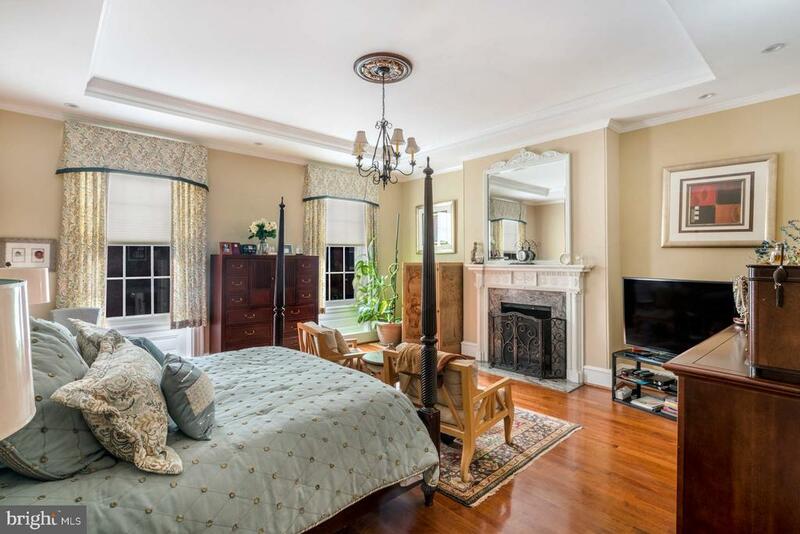 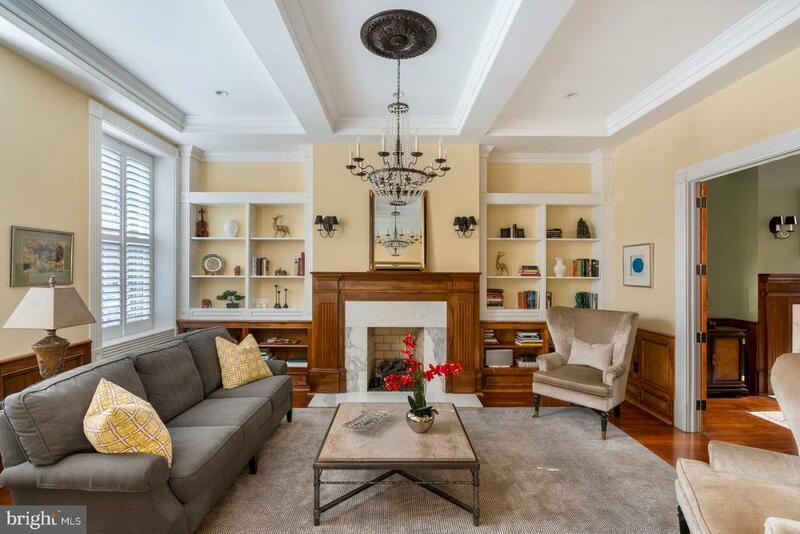 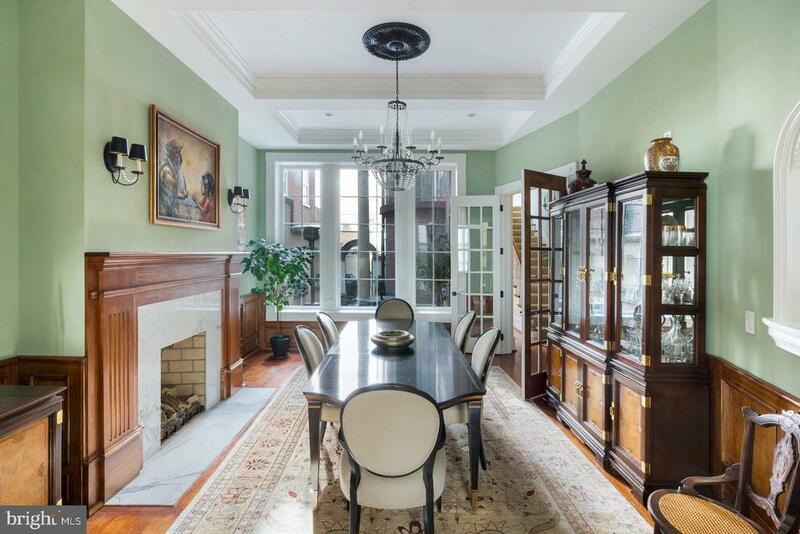 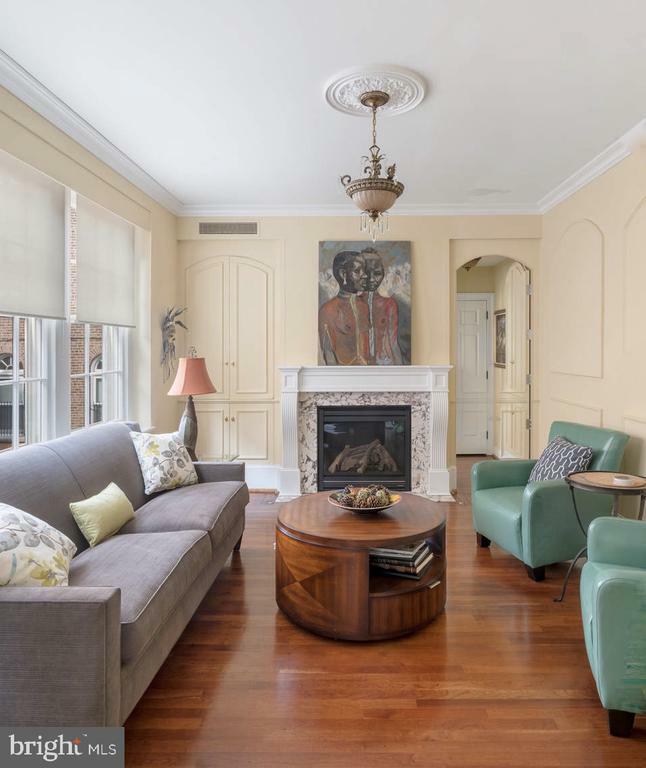 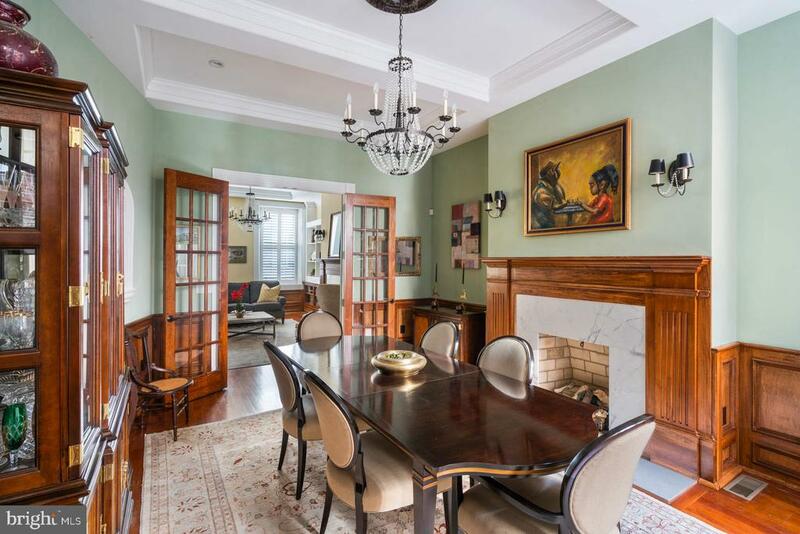 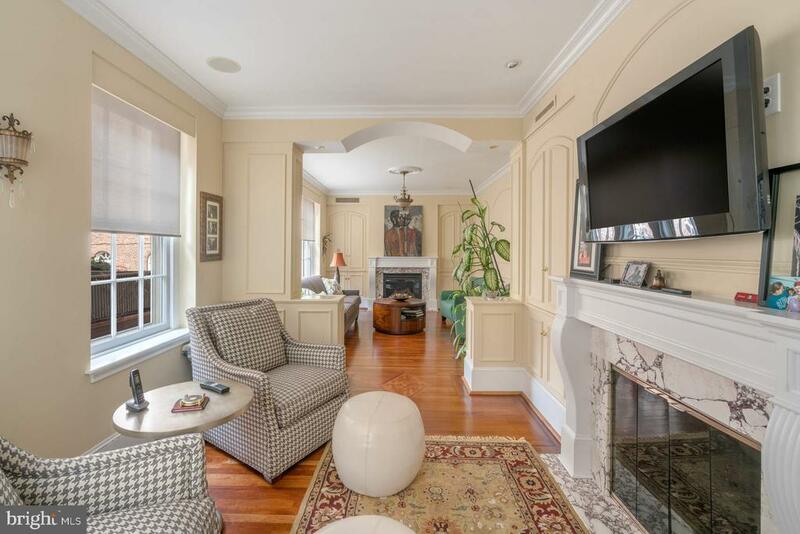 This floor features adjacent living and dining rooms both with impressive chandeliers, marble gas fireplaces, custom woodwork and crown moldings. 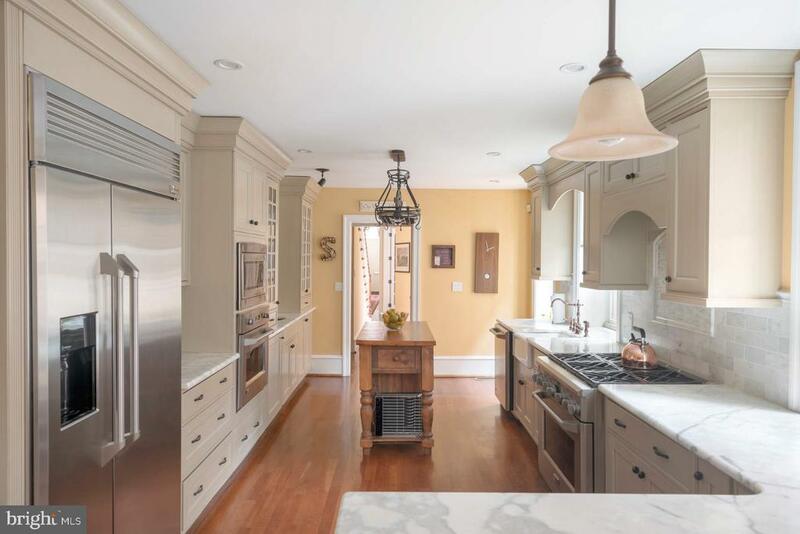 The modern kitchen is a chefs delight with custom cabinetry, stainless steel appliances, Calcutta gold marble counters & backsplash, farmhouse style sink, and a walk-in pantry closet. 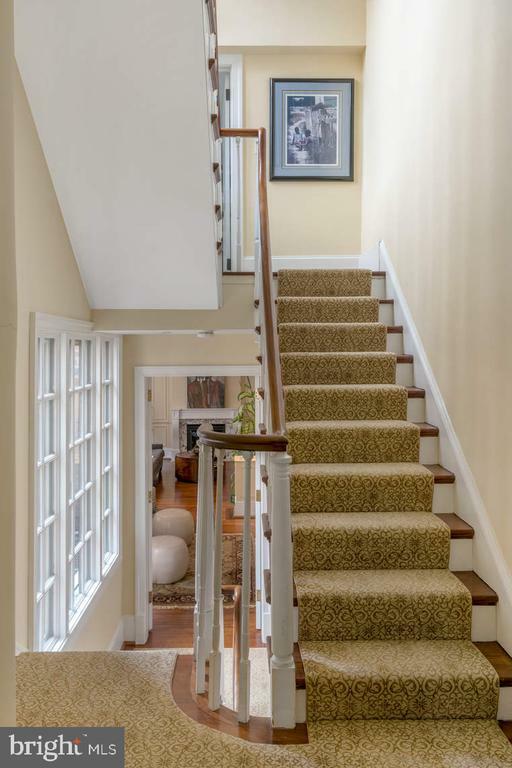 Venture upstairs to the master suite with a marble fireplace, hardwood floors and sizable his and hers custom closets. 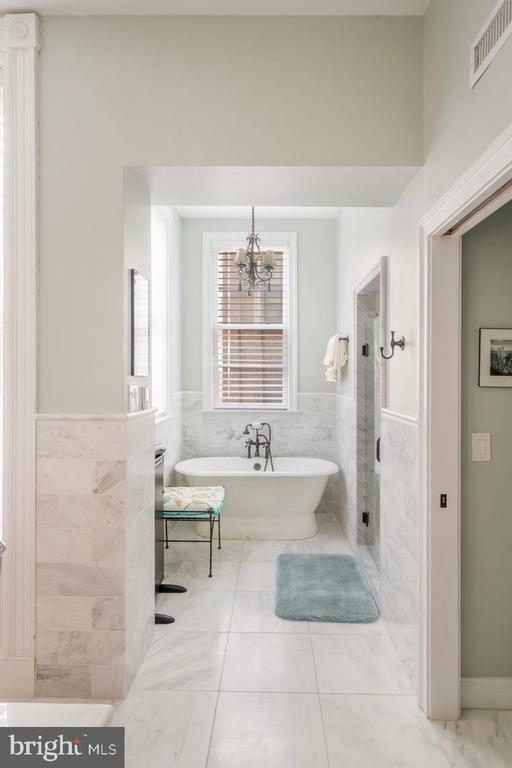 The master bath is covered in Arabescato marble with a pedestal tub, vintage faucets and custom cabinetry. 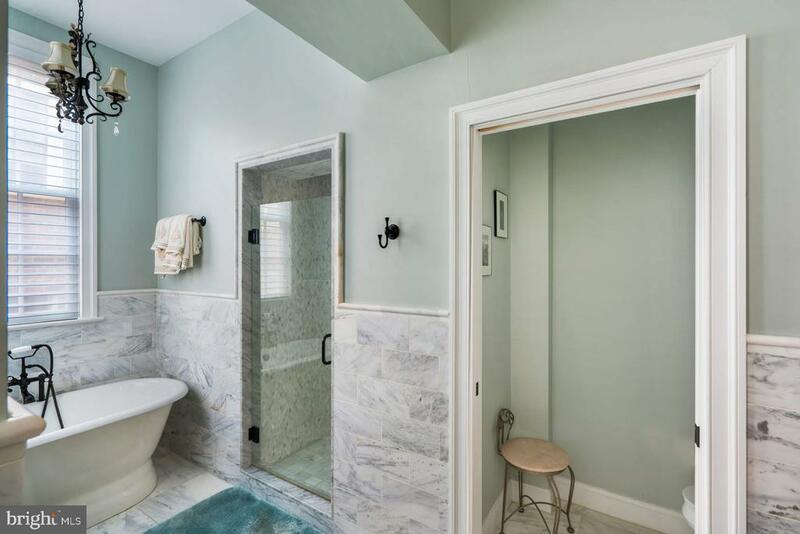 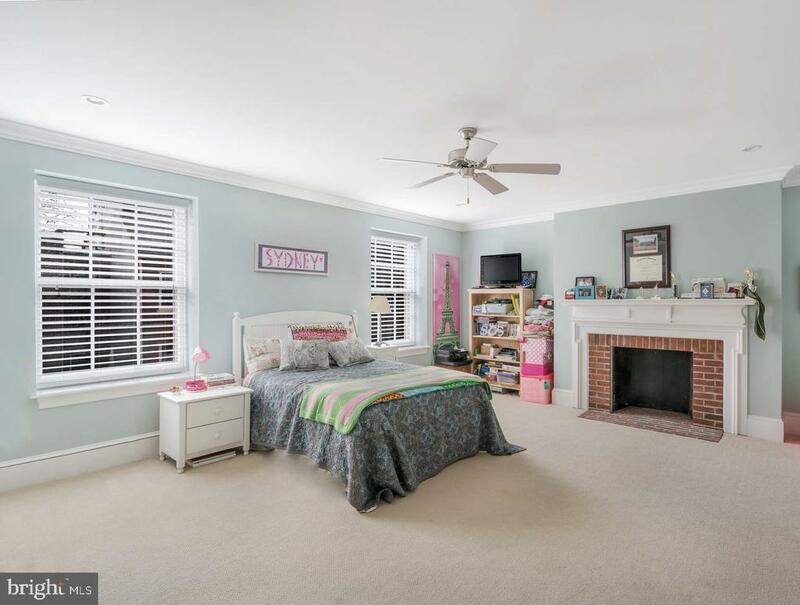 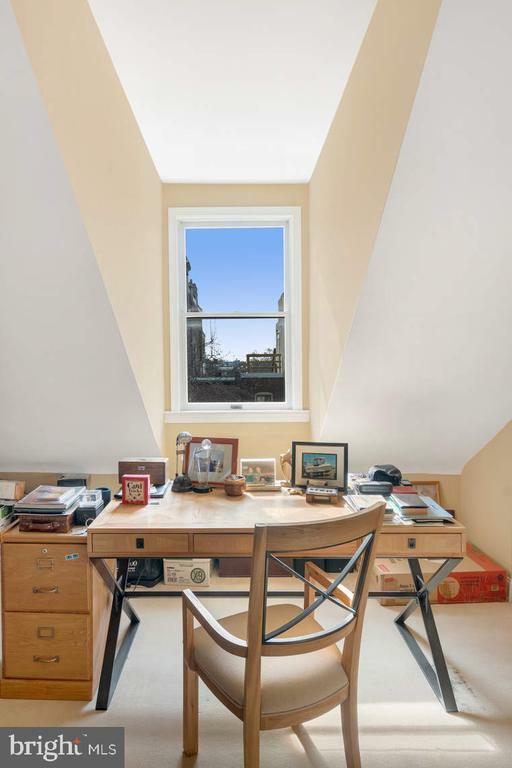 This floor also has a generous guest bedroom with a marble fireplace, a sitting room with custom bookshelves that opens to reveal a secret bath. 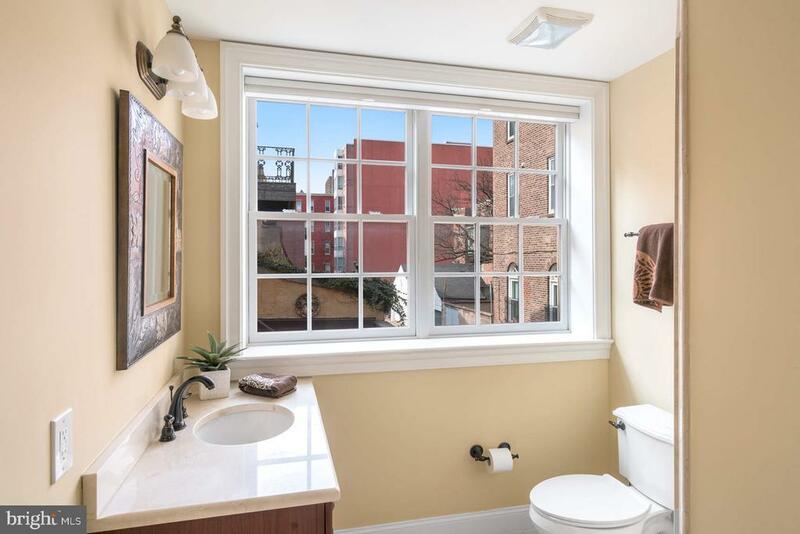 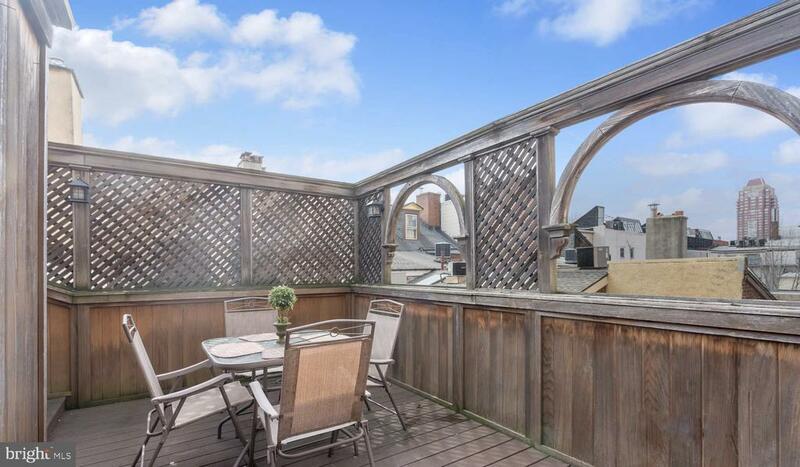 The third floor has 2 bedrooms, full bathroom, and provides access to the private sun-soaked deck with sweeping city views. 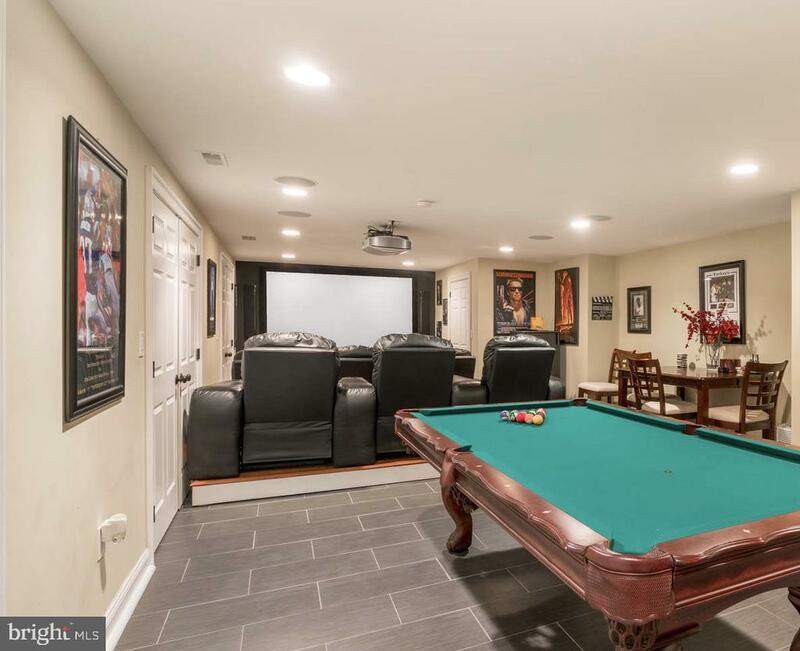 The finished lower level completes this luxury home with a grand entertainment room and spectacular home theater. 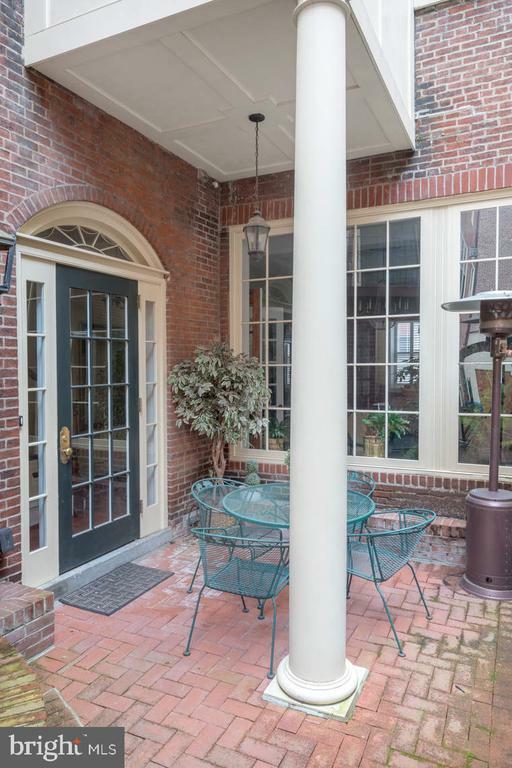 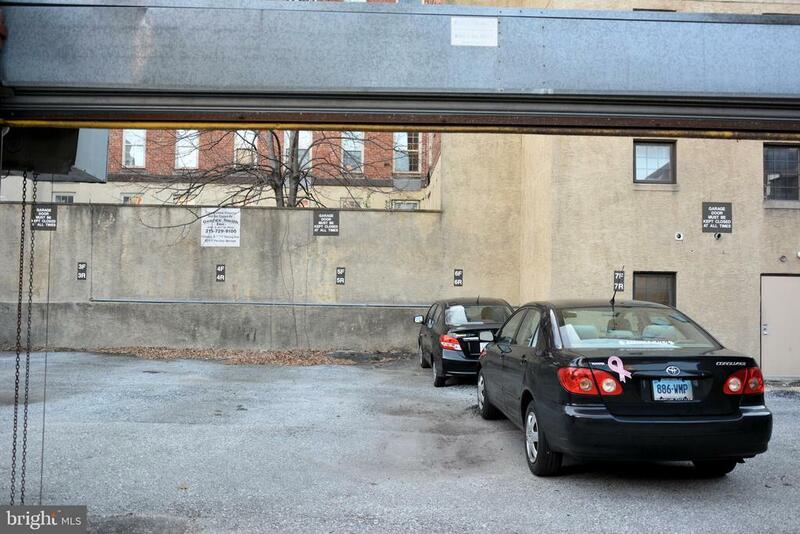 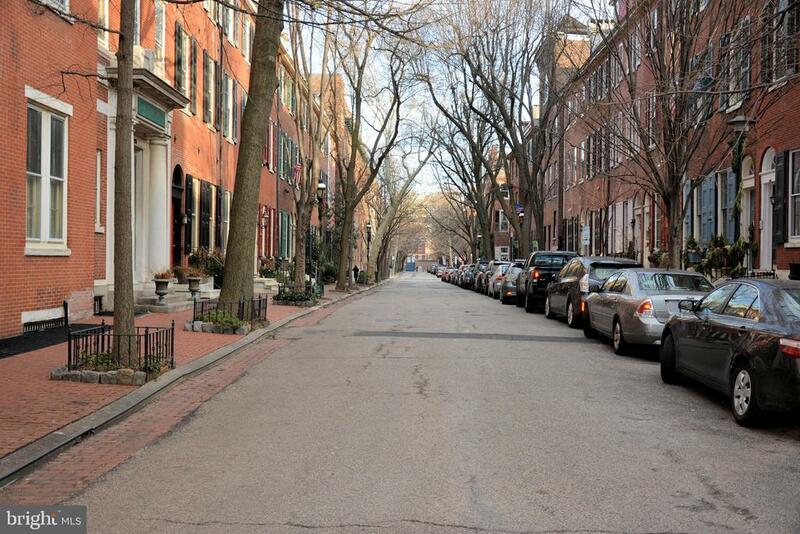 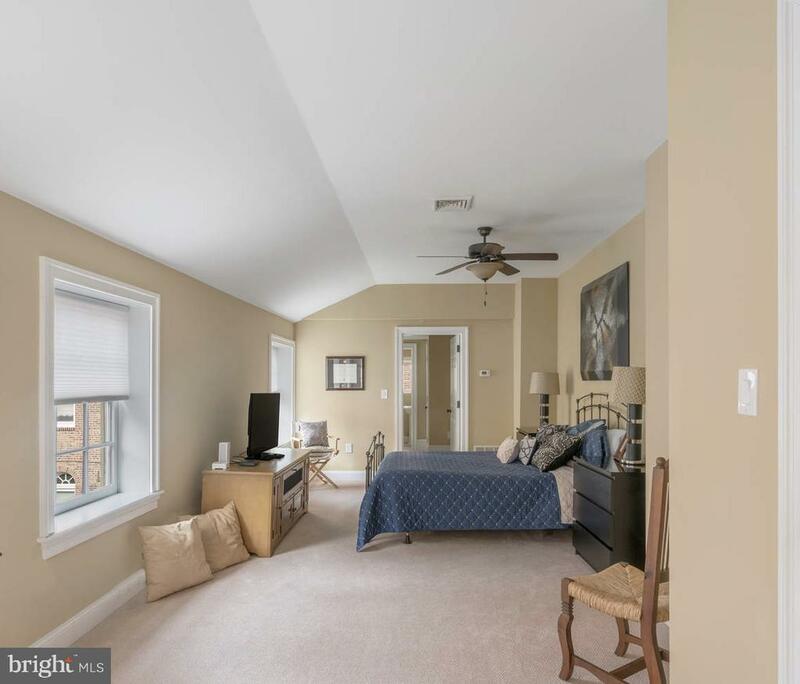 The residence is ideally located among popular Philadelphia shops and restaurants, Pennsylvania & Jefferson Hospitals, local supermarkets, and public transportation.